Al-Musawwar Bin Makhzamah: ‘’O my uncle! Did you use to accuse Muhammad of lying before he started saying what he says now [i.e. 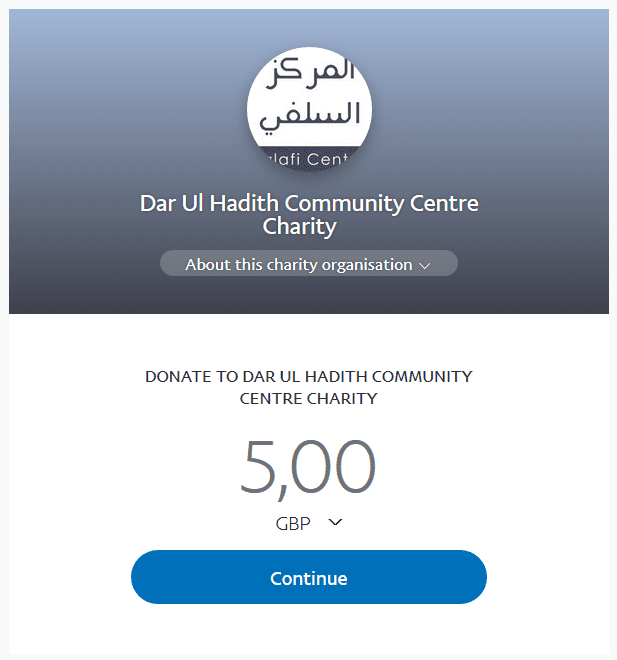 his call to Tawheed]? Abu Jahl: “By Allaah, indeed Muhammad was a trustworthy young man amongst us and we have never experienced lying from him. Abu Jahl: “O son of my sister! We competed with Banu Haashim in nobility [i.e. which clan is more noble], so they used to feed [the pilgrims] and we used to feed the [pilgrims]; they used to provide water for [the pilgrims] and we used to provide water for [the pilgrims]; they used to give protection [to the destitute] and we used to give protection [to the destitute] until we were equal [i.e. in competing one another for nobility]. Then they said, “There is a Prophet from us”, so when are we going to get something similar to this!! Akhnas Bin Shuraiq said to Abu Jahl on the day of Badr [i.e. the battle of Badr]: “O Abul Hakam! Inform me about Muhammad, as to whether he is a truthful person or a liar, for indeed there is no one here from Quraish who will hear our speech? 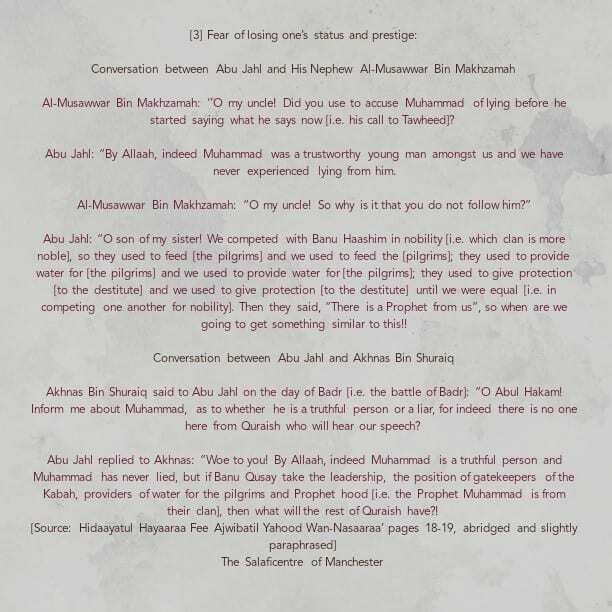 Abu Jahl replied to Akhnas: “Woe to you! By Allaah, indeed Muhammad is a truthful person and Muhammad has never lied, but if Banu Qusay take the leadership, the position of gatekeepers of the Kabah, providers of water for the pilgrims and Prophet hood [i.e. the Prophet Muhammad is from their clan], then what will the rest of Quraish have? !